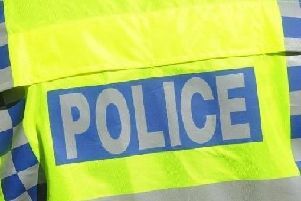 A police officer based in Aylesbury has been dismissed after he was found to have abused two ex-partners while off duty. PC Simon Rowett was dismissed with immediate effect in front of assistant chief constable Nicola Ross yesterday (Thursday). He was found guilty of four counts of breaching standards of professional behaviour by using using physical force towards the women, dating between 2004 and 2013. Det Chief Insp Matt Stone from Professional Standards said: “Thames Valley Police recognises the significant impact that domestic abuse has on those that suffer it, and we have a positive action policy to encourage people to report abuse and ensure, along with our partner agencies, they are supported. “As an organisation with a significant responsibility to challenge domestic abuse we expect our staff to demonstrate the highest standards and it is deeply disappointing when our staff not only fail to challenge and deal with domestic abuse but actively undertake it. “Thames Valley Police will not tolerate this kind of behaviour from our officers, whether they are on duty or not and I hope the dismissal today of PC Rowett for his unacceptable actions reinforces our commitment to tackling domestic abuse. “I would like to commend the women involved in these incidents for coming forward about what happened to them, for supporting the case and for giving evidence at the hearing.